Depakote ER (Divalproex Sodium) is used to treat seizure disorders and mental/mood changes such as the manic phase of bipolar disorder. This is used alone or in combination with other medication to treat seizures. This may also be used to prevent migraine headaches. How does Depakote ER (Divalproex Sodium) Tablet work? Depakote ER (Divalproex Sodium) increases brain concentrations of gamma-aminobutyric acid (GABA), an inhibitory neurotransmitter in the CNS. It may inhibit enzymes that catabolize GABA or block the reuptake of GABA into glia and nerve endings. This drug may also work by suppressing repetitive neuronal firing through inhibition of voltage-sensitive sodium channels. Why use Depakote ER (Divalproex Sodium) Tablet? 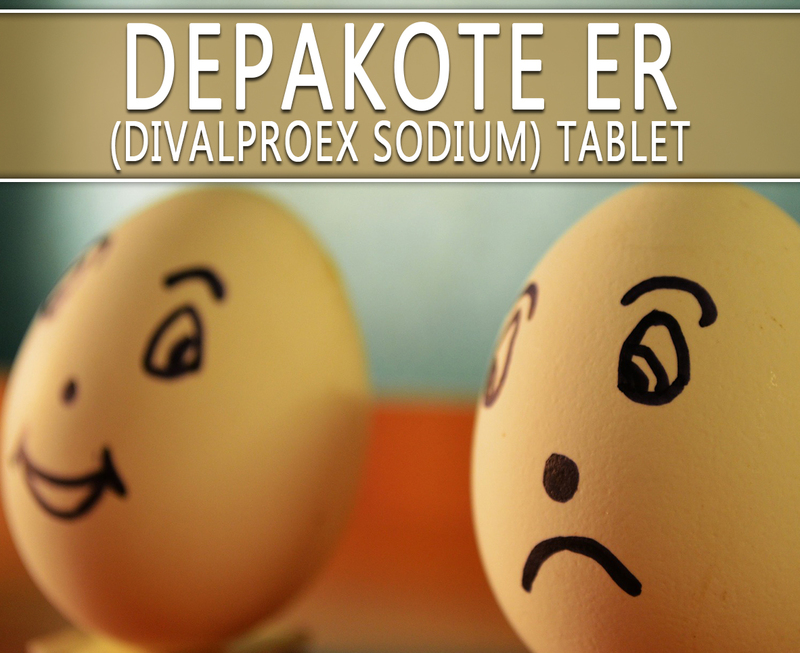 Depakote ER (Divalproex Sodium) belongs to the class of medications called anticonvulsants. This medication has the strengths of 250mg and 500mg for oral administration. This contains Divalproex Sodium in a once-a-day extended release formulation. It occurs as a white powder with a characteristic odor. The Food and Drug Administration (FDA) has already approved this drug. How to use Depakote ER (Divalproex Sodium) Tablet? It is to be taken by mouth once a day. You may take it with food if stomach upset occurs. Do not chew or break the extended-release tablets. You should swallow the tablet as a whole. Remember to use it at the same time each day to keep the amount of medication in your blood constant. Do not stop the medication without consulting your doctor. Your condition may worsen if you will suddenly stop the medication. What are the side-effects of Depakote ER (Divalproex Sodium) Tablet? Get medical help right away if an allergic reaction occurs. Tell your doctor if you have a medical history of pancreatitis, liver disease, or certain metabolic disorders. This may not be prescribed for pregnant women. If you are breastfeeding, talk to your doctor first. You should not share this with others who have the same condition as yours. Avoid doing any activity that requires your alertness. This drug may make you feel drowsy or dizzy.